At the recent Evolutionary Demography meeting in Miami there were two talks on the life history of rotifers. One of the speakers praised rotifers as a model organism for their generously choosing to be transparent, facilitating study of their growth and physiological changes. I had never really thought much about transparency as a positive feature of organisms (from the perspective of those wanting to study them) — though I guess the same has also favoured the development of the C. elegans system. Momus would have been pleased. In some very advanced country (I don’t remember whether it was Germany or the U.S.A. or both) you could find menu cards in restaurants indicating, in addition to the price, the energy content of every dish. As someone who actually works with DNA — or, at least, DNA data — I find the drift of the colloquial use of “DNA” disturbing. It’s impossible for me to avoid the resonances of biological determinism, but I’m not sure how other people understand it. I’ve collected a lot of usages, and it seems to have been used in the past to suggest that individuals are being driven by their training or by the historical imperatives of their organisations. 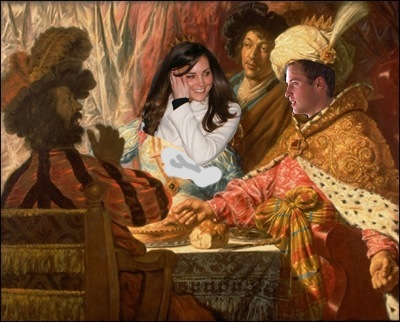 Which is sort of fair. But either the meaning is drifting, becoming more crude, or it’s being appropriated for racist purposes. That Senate Minority Leader Chuck Schumer, D-N.Y., will politicize everything is a given — it’s in his DNA. Now, I’m pretty sure that the reference to his DNA is not meant to be an ethnic slur. But not completely sure. Why is it there? What is DNA supposed to be adding? Is it his political DNA, his personal DNA (in which case it’s just a redundant statement that this is his immutable characteristic), his family DNA, or his ethnic DNA (which would make it an antisemitic slur). Impossible to say. The biggest genetics-investment opportunity ever! Okay, we’ll have to work on the catchphrase. Feel free to send your seed money. (The genotype-based diet is running like gangbusters.) Excuse me while I go off for a moment to write the patent application. Author steinsaltzPosted on April 2, 2015 Categories Academic, SatireTags biology, finance, genetics, science and societyLeave a comment on The biggest genetics-investment opportunity ever! exceptional mathematical fluency is required in only a few disciplines, such as particle physics, astrophysics and information theory. But that was after he’d mostly decamped from physics for sagecraft. Mathematics is a language. And what is discussed in that language is, as Hacker recognises, crucial to the fate of everyone in the world. Those who have not learned at least the rudiments of the language are excluded from the conversation. I am reminded of a friend who dismissed the value of learning to speak French, with the argument that “Everyone in France speaks English.” Now, France might have been a bad choice for his claim, but even if it were true, it puts you at a significant disadvantage to be surrounded by people who speak your language, while you can’t decipher their language to understand what it is they’re saying to each other. Think about that Einstein quote: Everyone finds mathematics difficult when they’re pushing beyond their current knowledge. If we’re going to drop mathematics training when it becomes challenging, we might as well stop counting when we run out of fingers and toesies. I would suggest that Wilson may be using more sophisticated mathematics in his work than he is aware. To paraphrase J M Keynes, practical biologists who believe their work to be quite exempt from any need for mathematics, are usually the slaves of some defunct mathematician. Modern biologists of bench and field are often quite attached to some mathematical and statistical machinery that happens to be some years old, and seemed impossibly abstruse when it first seeped in from the pure mathematics or theoretical statistics world. Many of the attempts to apply mathematical techniques in biology (or sociology or economics or whatever) will prove more clever than enlightening, but some will stick, and become part of the basic toolkit that the biologists who think they don’t need any sophisticated math do use. Wilson’s arrogant posture really reflects the fact that there are far more trained mathematicians who are intellectually flexible enough to try and figure out what the biologists are doing, and what the connections might be to their own field, than trained biologists willing to work in the other direction. Author steinsaltzPosted on April 27, 2013 April 28, 2013 Categories AcademicTags biology, education, mathematics, science, science and society1 Comment on Who needs math? 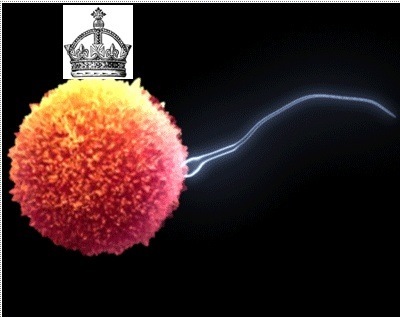 The elected sperm will invited in the first instance to inseminate the royal egg. Should it fail in its attempt, the second-place sperm will be sent in. In the case of a repeat failure, a national referendum will be held to determine the correct voting procedure.